The look of most patriotic fine jewels is straightforward—American flag brooches set with rubies, diamonds and sapphires. 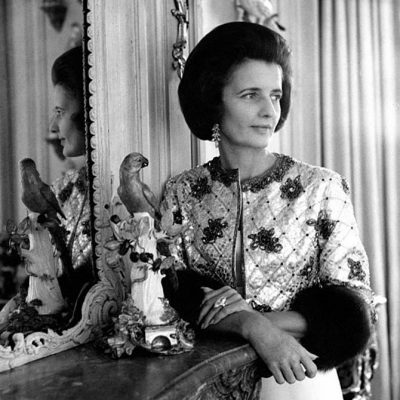 Bulgari took a far more imaginative approach to its love of the United States. In 1972, a year after opening a New York boutique, the legendary Italian firm launched its first jewelry tribute to the USA. Stars and stripes from Old Glory were transformed on to hoop earrings, chain necklaces and pendants for neck wires. Diamonds lit up red and blue enamel or coral and lapis on the jewels. The Star Spangled Banner Collection caused a sensation when Richard Avedon photographed Cher for Vogue wearing several pieces with Eres bathing suits. The images showed how Bulgari was in sync with the laid back luxurious state of the nation. 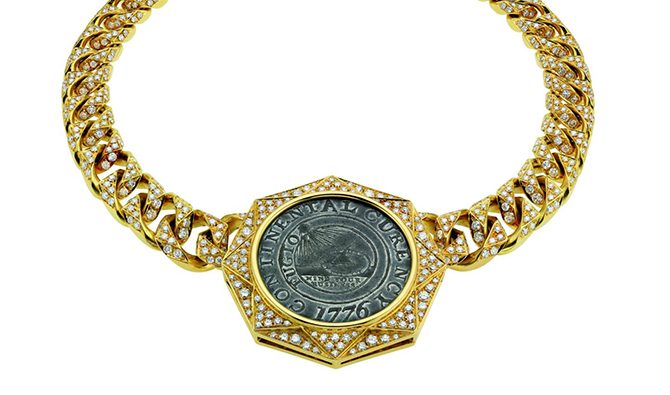 Bulgari’s other designs made in homage to America grew out of Nicola Bulgari’s interest in numismatics. One of founder Sotirio Bulgari’s grandsons, Nicola had been a enthusiastic collector of ancient Roman and Greek coins from childhood. In 1966, when he was just twenty-five years old, he came up with the idea for the wildly popular Monete gold and coin jewelry. Five years later, Nicola moved to New York to run the new boutique and American coins became his passion. The same way he appreciated the chronicle of events that ancient coins revealed, he enjoyed the narrative of the New World in American coins and medals. Nicola told The New York Times reporter Bernadine Morris in 1976, “I’m a coin collector myself but I never knew there were such interesting American ones before we started this project. 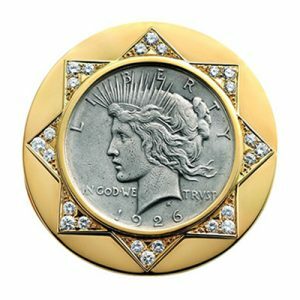 You can learn a lot of history this way.” Nicola personally selected each of the American coins used in the special Monete jewels made during the 1970s. One fascinating coin set in a Bulgari necklace made to celebrate the 1976 American Bicentennial was a 1776 pewter Continental Dollar. Designed by Founding Father Benjamin Franklin, it was the first coin minted when the thirteen colonies incorporated. The imagery on the front of the Continental Dollar includes a sun, sundial and the Latin motto “Fugio.” Together the elements are believed to mean: mind your business, because time flees. One Bulgari necklace created in the 1970s features a gold medal Hamilton fans are sure to love. It depicts General Lafayette in profile on the front. “The defender of American and French Liberty” is on the back. The medal was issued to commemorate Lafayette’s return to America in 1824. 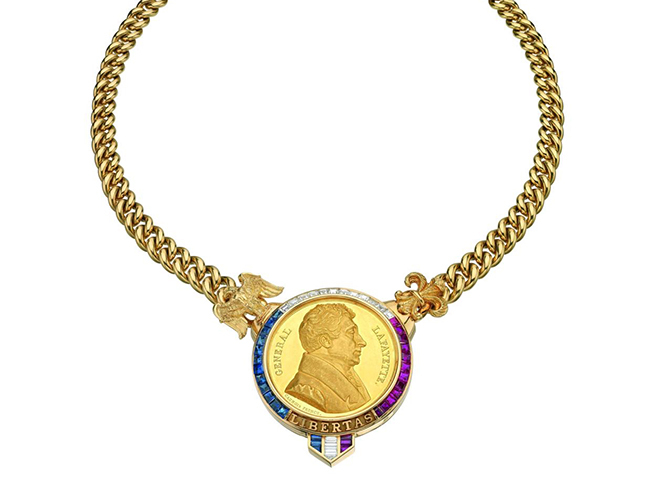 Bulgari mounted the medal on a chain necklace within a setting of rubies, diamonds and sapphires. The Latin word for liberty is emblazoned along the bottom of the pendant. An eagle and fleur-de-lis accent the sides. The Roman goddess, Liberty, appeared on several eighteenth century American coins and quite a few Bulgari 1970s jewels. 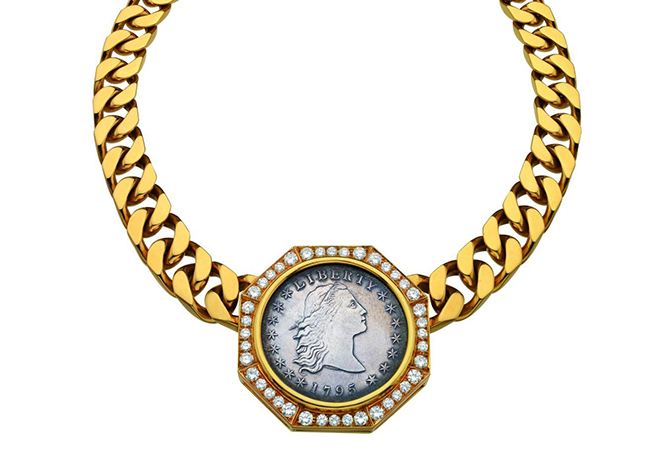 One example Bulgari mounted was the first silver dollar coin featuring a heroic bust of Liberty with flowing hair in a chunky gold curb link choker. A silver Peace Dollar from 1926 made to honor the end of World War I was the most contemporary coin with an image of Liberty used in a Bulgari jewel. The coin carving was done by Italian-American sculptor Anthony de Francisci who based the beautiful image of Liberty on his wife Teresa, an immigrant from Naples. 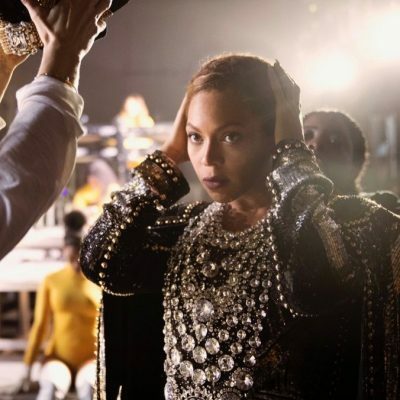 He placed a stylized ray diadem in her hair reminiscent of the one worn by the Statue of Liberty in New York Harbor. 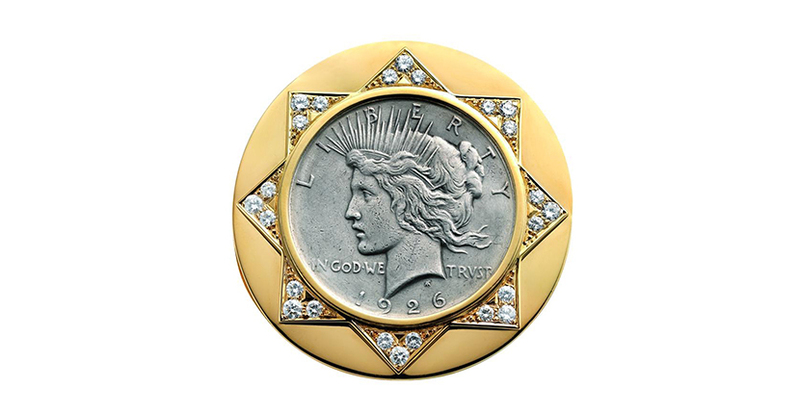 The round gold brooch Bulgari made for the Peace Dollar in 1973 had diamond-set triangular motifs around the coin echoing the points of the diadem. All in all, the jewel is a sparkling salute to America by Italians.